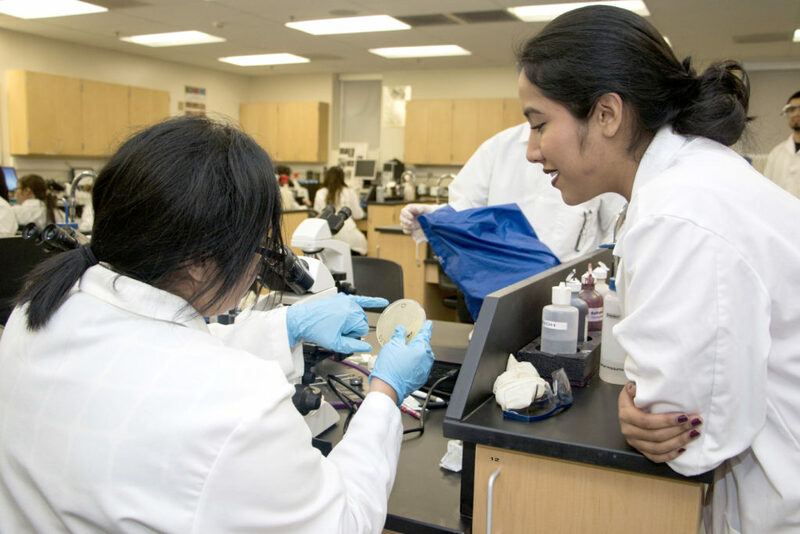 The Cerritos College Foundation (CCF) actively works with Cerritos College administrators, faculty, and staff to support cooperative ventures that benefit our students. We are committed to developing financial resources that enhance and cultivate every program offered at Cerritos College. When we fund student scholarships and college programs, we continue the tradition of producing high caliber professionals, leaders, artisans, and crafters. We are proud of our career technical education programs (CTE). They help students earn an Associates degree and/or a certification that makes them competitive in their professions immediately. Technical curriculum is available in Business, Computer Information Sciences, Fine Arts, Health Occupations, Social Science, and Technology. Our vision is to provide $1 million to support career technical training programs by 2022. Take us up on our invitation to tour the campus where you can witness the high caliber of our CTE programs first-hand. You will notice that our woodworking, welding, and plastics departments have state-of-the-art commercial equipment that allows students to complete projects for employers like IKEA. You will see that the pharmacy program has lab tools comparable to major hospitals. Our commercial kitchen allows 84 culinary students to cook at independent work stations. Our film production, radio, technical theater, and commercial music departments are equally impressive. Make sure to visit our child care center which doubles as a classroom for children under age 5 and Cerritos College interns. Help us continue funding great equipment, specialized staffing expertise, and student internships by donating today.